Those little cleaning cloths for glasses really are great to carry around, even though they do get dirty easily. Similarly, my main desk sized mousepad I have used for a few years new has accumulated some dirt and dust, which is difficult to remove. There has been no big spills, but the evidence of smaller drops can be seen in a few spots. The liquid resistance of the Cooler Master MasterAccessory MP750-L should help in this area, and lessen one of the more obvious weaknesses of a cloth mousepad. Cooler Master even included RGB functionality, which in my opinion is a big improvement over a hard mousepad with RGB. The LED in the MP750-L is found all around the edges of the mousepad and it still can easily be rolled up to store or take with a person. The LEDs on the side look like they are of good quality and so should be quite durable. The only consideration is they kind of keep to a shape. So, if the LEDs are slightly bent, then the mousepad will be slightly bent upwards at the edge. It is not a big issue, but noticeable. As for build quality, the entire mousepad is well built with no discernible imperfections. The weakest area would be how the LEDs are sewed to the mousepad. Even though there are many threads keeping things together, they are really thin and could tear. Otherwise, the liquid resistance of the cloth surface is definitely a plus. When it comes to performance, the MP750-L did well in each of the categories, finding a nice balance between glide and control. The software worked well and there were no issues with it, and the single button on the mousepad itself is a great addition for quick control. Generally, a RGB product, especially a mousepad, is still really pricey, usually costing upwards of $60 USD. The MP750-L is not cheap for a mousepad, but considering the RGB LEDs, a price of $45 USD is surprisingly good in relative. Overall, the Cooler Master MasterAccessory MP750-L is a great choice if you are looking for some flashy lighting effects to go with a good mousepad. 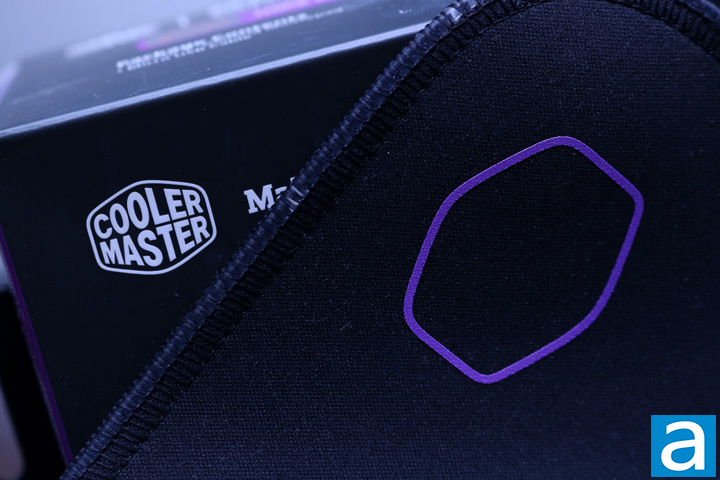 The Cooler Master MasterAccessory MP750-L brings together the best of a cloth mousepad without sacrificing RGB effects. Do you have any comments or questions about the Cooler Master MasterAccessory MP750-L? Drop by our Forums. Registration is free, and it only takes a minute! posted 5 hours and 36 minutes ago, with 1 posts. posted 5 hours and 37 minutes ago, with 2 posts. posted 5 hours and 37 minutes ago, with 8 posts. posted 5 hours and 37 minutes ago, with 7 posts. posted 5 hours and 38 minutes ago, with 7 posts. posted 5 hours and 41 minutes ago, with 15 posts. posted 5 hours and 42 minutes ago, with 59 posts. posted 5 hours and 42 minutes ago, with 14 posts. posted 5 hours and 42 minutes ago, with 11 posts.